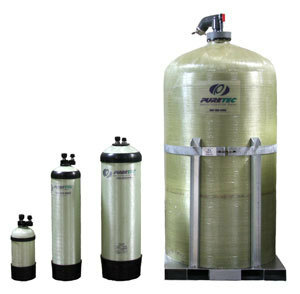 Portable deionized / demineralized water tank service using ion exchange that meets the highest water quality standards for nearly any application. Puretec Industrial Water provides a full spectrum of water deionization services for ultra pure water applications ranging from large steam turbines to validated pharmaceutical systems. We are a family owned full service provider that provides experienced 24/7 local support and unmatched quality to ensure that you are provided with a continuous and reliable source of high purity water designed specifically to meet your requirements. Our DI Tanks require no chemical handling or maintenance and provide a reliable source of deionized water up to 18.2 Mega-ohm resistivity. The DI Water tanks come in various sizes, ion exchange resin types and flexible configurations to meet your process water needs with many quality monitoring options available. 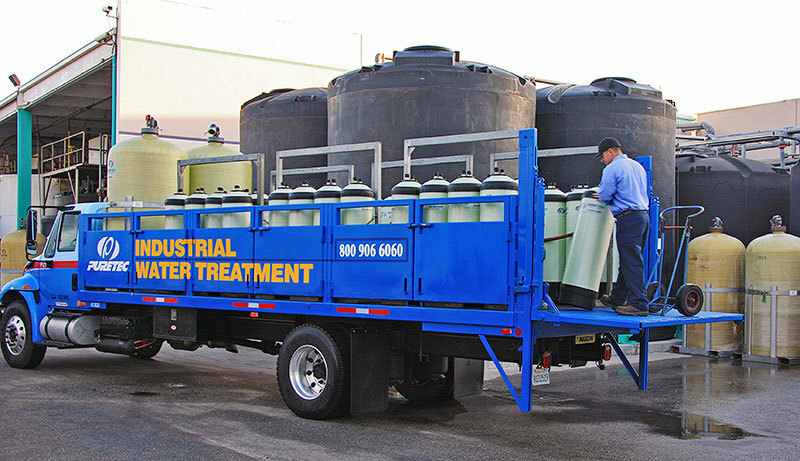 When the DI Water tanks become exhausted they are exchanged for freshly regenerated tanks by a qualified service technician. We offer same day/next day service and are able to respond 24/7 to emergencies. Mobile Demineralizer Trailers provide deionized / deminerialzied water to the power industry for emergency or long-term water needs. Our low silica/conductivity Mobile DI trailers are extremely flexible to meet nearly any process water needs, allowing you to focus on your core business without having to worry about on-site waste generation, handling hazardous chemicals or making an additional capital investment.